An e-tool fully-integrated with Surescripts platform for electronic prescribing of prescriptions. This is a certified pharmacy software solution connecting medical practitioners and pharmacies to transfer electronic prescription orders with ease. It reduces the amount of errors and allows you to offer secure and superior patient care. It is a reliable platform facilitating the safe and sound exchange of orders, documents, notifications, summaries, and much more. e-Prescribing as opposed to paper prescriptions decreases the amount of prescription errors, enhances practice efficiency, improves patient”s safety and overall quality of medical care; moreover, it also reduces the patient's waiting time at pharmacies. We remove complexities and allow our clients to connect and interact with ease. This e-prescribing pharmacy interface secured with Surescripts enables standards-based connectivity and creates a pathway for physicians to manage all their prescriptions within the electronic workflow. It reduces cost, improves patient's safety and enhances efficiency. It is more reliable and error-free platform. As using this, pharmacists no longer have to interpret handwritten prescriptions. 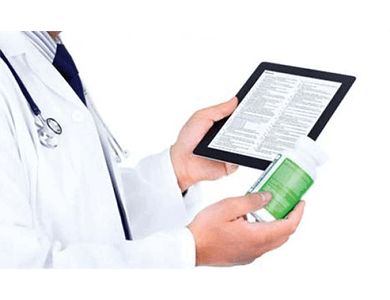 How e-prescribing interface helps you? Facilitating timely, secure access to vital clinical information- In all 50 states, the Surescripts network enables standards-based connectivity and a broad range of health information exchange. Enhancing collaboration among care organizations- The Surescripts network enables bi-directional exchange of information between hospitals, physicians, payers, pharmacies, labs and more. Promoting standards of security, quality and privacy- Surescripts has received full accreditation from the Direct Trusted Agent Accreditation Program. DTAAP is an accreditation program for health information service providers (HISPs). Our commitment to privacy ensures only authorized care providers can gain access to private information for use in providing clinical care to patients. Our network's broad reach enables health organizations, including pharmacies, retail clinics, physician offices/practices, hospitals, HIEs, HISPs, pharmacies, and imaging centers, to communicate with each other and the vast array of HIT platforms through a single point of connectivity. Surescripts is a trusted partner with deep experience in secure health information exchange due to our long history of innovation and consistent, reliable performance for our customers. We understand and have solutions for the entire health IT ecosystem. Surescripts' expanding capabilities facilitate the secure exchange of a wide range of message types, such as referral orders, continuity of care documents, immunization notifications, visit summaries, and more. Our products are integrated into existing medical workflows for increased efficiency and web effectiveness. We are improving care delivery by saving time and resources.